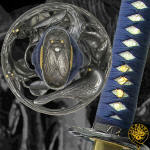 The elegantly simple lines of the Golden Oriole Wakizashi have long been favored by admirers of the Japanese sword. 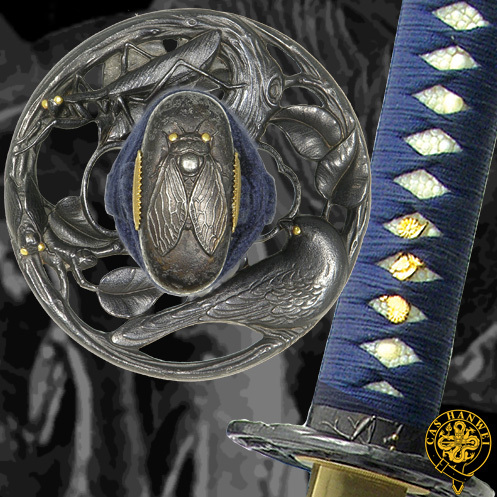 The story told by the stunning tsuba is of a mantis stealthily stalking the cricket, unaware that he is himself being stalked by the Golden Oriole. The deeply lacquered blue of the saya is repeated in the Japanese cotton tsuka-ito, and the Oriole appears again on the kashira. 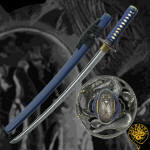 Supplied with a protective cloth bag and traditional maintenance kit. We do not sell weapons to anyone under the age of 18 without permission and consent of a parent or legal guardian. These are real weapons and not toys. They are very sharp and should always be treated with care. Be careful to never put yourself or anyone else in danger. 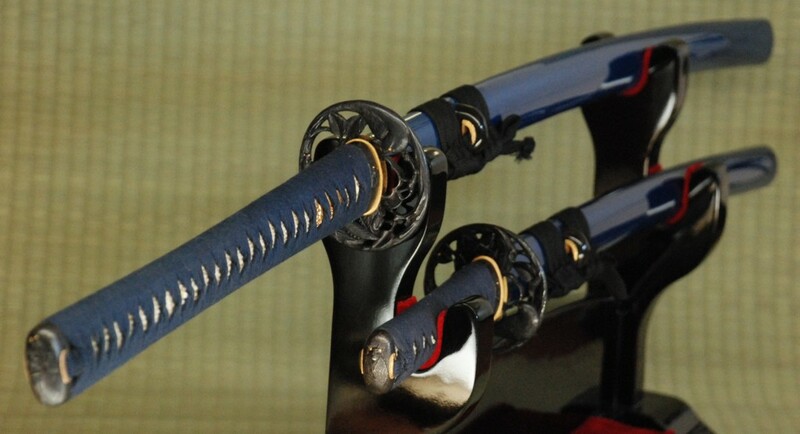 Nihonzashi LLC, its employees, and associated companies are not responsible for any injury, damage or loss incurred by use or miss-use of any merchandise sold on this site. It is the purchasers responsibility to comply to local, state and federal laws and/or statutes. Purchase of merchandise implies agreement and compliance to the above.